The U.S senior national women’s team on Friday halted the progression of their Nigerian counterparts, D’Tigress, with a 71-40 stoppage in the quarter-finals of the ongoing 2018 FIBA Women’s World Cup in Tenerife, Spain. D’Tigress coming from the streak of three straight wins over Turkey, Argentina and Greece fought hard to book their place in the semi-finals but fell to the super powers of their American opponents. D’Tigress recorded a 17-9 lead in the first quarter but fell 16-18 in the second and 12-19 in the third before crashing 5-25 in the third to the nine times world champions. However, D’Tigress have by far achieved by all ramification being the first African team to berth in the quarter-finals of the World Cup and look good to restore their quality in the classifications match. News Agency of Nigeria reports that so far, it has been an amazing World Cup for the ladies in Green and White, and the first half of this one showed how much they have grown in recent years. They will take the two wins over European opposition with great pride, defeating Turkey in Group phase and Greece in the quarter-finals qualifications. Ezinne Kalu was all over the floor today, with 8 points, 6 assists (game-high), 5 steals (game-high), and four rebounds. Afolabi Oni, the media person with the team in Spain described the match as one that brought the best out of the team and D’tigress deserved a lot of applause. “Our girls deserve a lot of credit for reaching the quarter-finals, though they lost but they went down fighting against the very best team in the world. 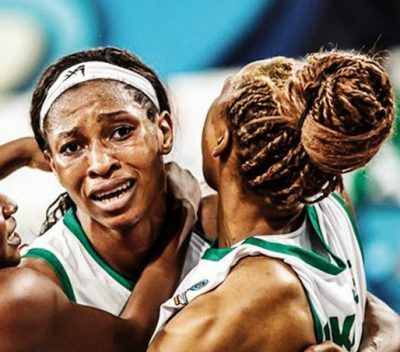 “Kudos to the team, they are our true heroes and deserve all the accolades for putting up a good performance in Spain, well done D’Tigress,’’ Oni said. The competition which began on Sept. 22 comes to an end on Sept. 30 when the 2018 champions will be crowned.